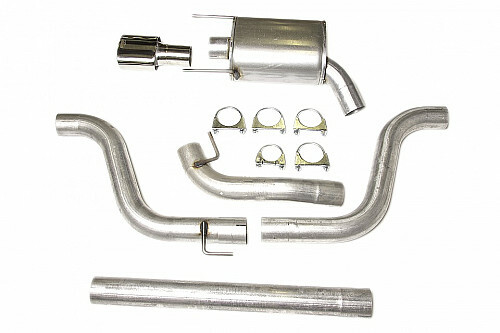 JT 3" Cat-back exhaust system with one silencer made of aluminised steel pipes. For cars with 61L tank volume. This exhaust has a loud exhaust note. All Saab 9-3 II with 61L tank volume except XWD models.